Even worse, breeders with multiple, severe violations of federal animal welfare standards remain licensed year after year with little more than slaps on the wrist. 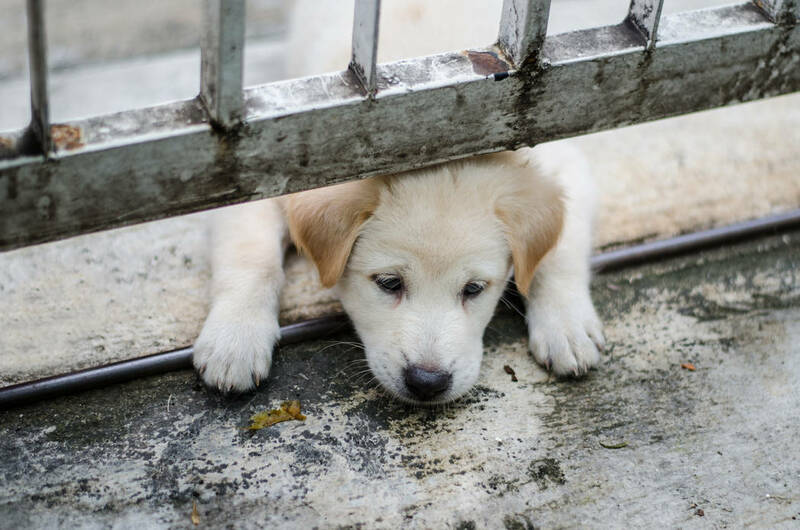 In his Nov. 19 commentary, Josh Jones of the Pet Industry Joint Advisory Council applauds the Las Vegas City Council’s widely unpopular move to repeal an ordinance preventing pet stores from selling puppy mill puppies. It’s not surprising that an advisory council representative would take such a position, as the organization represents the interests of those who sell puppies from cruel puppy mills. While Mr. Jones wants readers to believe that pet stores are highly regulated and “not allowed to source pets from unethical breeders,” this could not be further from the truth. There is no law — neither local, state nor federal — that regulates from where Las Vegas pet stores source puppies. In fact, the City Council and mayor were provided with ample evidence that both of the city’s puppy-selling pet stores source from inhumane breeders and puppy mill brokers. For instance, one store had a poodle for sale earlier this month from a breeder with a terrible history of U.S. Department of Agriculture violations. The agency cited the breeder for failing to provide veterinary care for injured dogs, failing to clean up excessive feces and repeatedly failing to protect dogs from freezing temperatures. Another breeder that the store sourced from as recently as August has a history of egregious USDA violations stretching back more than a decade. And public records from the state reveal three of the largest puppy mill brokers in the nation shipped hundreds of puppies to another local pet store this year. One of these brokers was cited by the Missouri Department of Natural Resources for burying more than 1,000 pounds of dead puppies per year. Another broker was cited by the USDA for allowing nine puppies to die after they became overheated in a truck outside their facility. Mr. Jones will have you believe that USDA-licensed breeders are quality, humane breeders. Yet USDA officials themselves have stated that a federal license is not a seal of approval, that breeder standards of care are minimal and that it has major enforcement issues. A USDA-licensed breeder can keep a dog in a tiny, filthy cage for her entire life and be compliant with federal regulations. Even worse, breeders with multiple, severe violations of federal animal welfare standards remain licensed year after year with little more than slaps on the wrist. These are the sort of facilities that benefited when the Las Vegas City Council voted to repeal the puppy mill sales ban, not Las Vegas families and certainly not the animals. The huge majority of pet stores, including the largest and most successful chains, do not sell puppies. Rather, they adhere to the humane model that the ordinance would have fostered. Yet when the two puppy-selling pet stores in Las Vegas were given a generous two years to adopt this new model before the ordinance was to go into effect, they made no effort to do so. Instead, they clung to a business model that causes animals to suffer and rips off consumers. While the rest of the nation is working to stop the abuses that are inherent in the puppy mill industry — 240 localities and the state of California outlawed puppy sales in pet stores — this council worked to ensure puppy mills could continue to sell dogs to unsuspecting families in Las Vegas. Our hope is that humane-minded Las Vegans will do what elected officials would not — reject the cruelty behind the facade. Jeff Dixon is the Nevada state director for The Humane Society of the United States.